Over the years, many of our guests at Northwind Lodge have ventured out for a day canoe paddle. 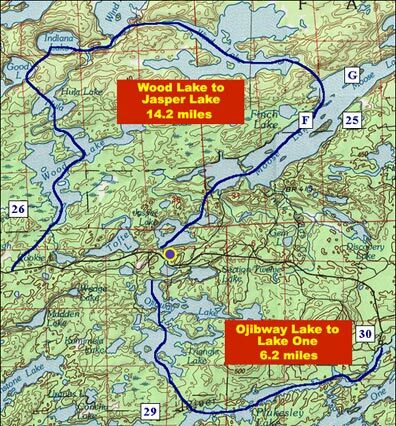 Day paddles are moderately challenging and can vary from simple paddling on a lake or chain of lakes in our area or making an actual route as if you were on a canoe trip. You can find out more which option is right for you at the front desk. Remember that Boundary Waters Canoe Area adventures are metal can and glass bottle banned. You may bring in plastic bottles but you must pack every thing back out. Also, there is no permit charge to take a day-paddle, but you do need to fill out a permit at the BWCA entry point and take it with you. We can fill you in with more details at the lodge if you may be interested in renting a canoe and taking a day trip.